It’s been almost 4 months since General Abdel Fattah El Sisi has assumed the office of the Egyptian presidency. As any student knows, every semester is approximately 4 months. I figured it was time for Gen. El Sisi to get his midterm report card on how his presidency is going so far, to see if he can improve in certain areas. Abdel Fattah has demonstrated a good capability of resolving disputes between his neighbours, but should consider taking a less antagonistic and confrontational approach with his international friends. The Palestinians and the Israelis fought again this year (surprise!). And, in typical fashion, the Egyptian government had to kick into mediator mode and try to resolve this crisis. The last time this happened was two years ago, when Mohamed Morsi was still new in office and managed to broker a ceasefire with the help of the United States. Sisi gets some strong political points for managing to broker another ceasefire, for two reasons: it helps Egypt retain its role as a peace broker in the Middle East, and also overshadows one of Morsi’s (few) accomplishments, which should help improve El Sisi’s image. 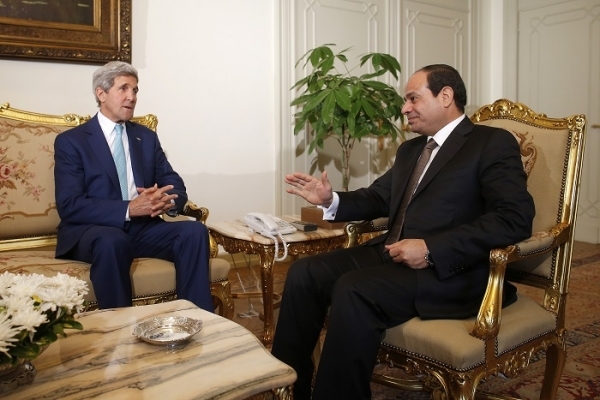 However, in my opinion, El Sisi lost points on his inability to withhold from goading the United States. After the outbreak of the Ferguson riots in late summer 2014, El Sisi couldn’t resist the opportunity to use this unfortunate incident to issue a statement that used the same language the United States used on Egypt during the 2013 Rabaa protest dispersal. Some might count this as a pushback to US influence in the region, but all it really does is distance Egypt from the United States and closer to Russia. El Sisi seems to think that he’s living in Nasser’s world, and that the Cold War is still happening – such an outdated point of view on global politics has harmed El Sisi’s score in this category. Abdel Fattah has demonstrated a very good capability of reviving a battered Egyptian economy, restoring some confidence in its industrial and service industries. More effort should be made in the future to “keep the lights on”. El Sisi made it clear from day 1 that he’s after one thing in his presidency – money. His constant fundraising attempts, while they seem a bit out-of-place for a head of state, seem to be working in a rather unorthodox way. It might not be a sufficient measure to raise funds to counteract Egypt’s crippling debt, but it is counteracting the wider culture of excess that has appeared in Egypt over the years, especially as the wealth gap continues to grow in Egypt. It is a rather polite attempt by El Sisi to reinforce Egypt’s socialist values, seeking to appeal to the nation’s wealthy and to create a feeling of “contribution” from the general population. Another aspect that helped El Sisi gain points in this category is his efforts to slash fuel and food stuffs subsidies. El Sisi managed to do what no Egyptian leader in modern history has been able to do – remove the state subsidies in its entirety without facing widespread backlash. This might be because of a number of reasons – his widespread popularity, and the general state of chaos that the country has seen over the past few years, has likely made people tolerate this measure. Although El Sisi likely would have gained more points if he took this measure gradually, his ability to navigate this economic landmine demonstrates an ability to recognize potential pitfalls and using political capital to overcome obstacles. Finally, El Sisi gains some extra points for taking on national construction projects in an effort to rebuild the country’s infrastructure. 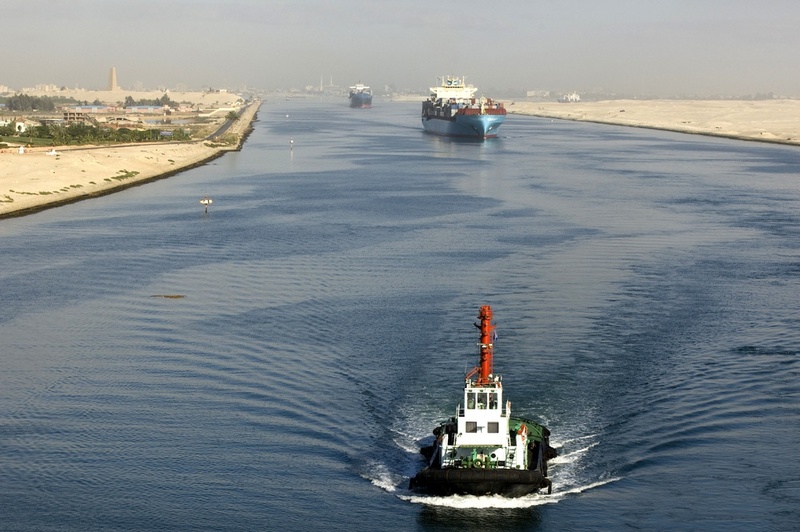 El Sisi’s decision to pursue the Suez Canal Corridor Development Project, as well as the National Roads Project, demonstrate that he has his eyes on modernizing the infrastructure with an aim of bringing Egypt into a new, modern era. His insistence on funding these projects through Egyptian funds only is a strong indication of his plans to make a sustainable project, but could face problems in funding in future years. There is, however, something to be said about the rolling blackouts that have become once again common in Egypt. Considering that this was one of the reasons that encouraged many Egyptians to protest against Mohamed Morsi in summer of 2013, it is only fair to say that El Sisi’s government should be held to the same standard. Therefore, despite several ongoing projects and efforts to revitalize the Egyptian economy, El Sisi’s inability to “keep the lights on” has cost him some points in this category. Abdel Fattah has demonstrated very limited capability to tackle pressing human rights concerns, but has not demonstrated an ability to recognize key elements to the erosion of fundamental rule-of-law principles, such as the right to a fair trial. Egypt’s judicial system became an international pariah in 2013 and 2014 for allowing more than 500 people to be sentenced to death at once. The ridicule came not as a result of the death sentence itself (which is a separate discussion, considering that many parts of the world have already outlawed capital punishment), but because these accused were sentenced to death without an opportunity to fully present their cases. The notion of providing these accused to counter-argue accusations made against them was not provided, and created a human rights issue where the fundamental right of fair trials was not respected. However, in my opinion, it is not the fact that these sentences were handed out that has caused El Sisi to score so low here. 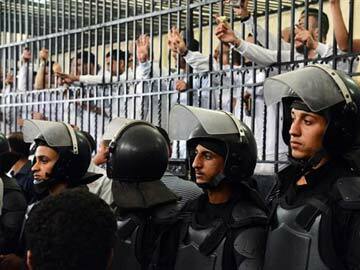 It is the fact that El Sisi has allowed a system where judicial rulings can be used to further political motives. Instead of recognizing this mass death sentence as a judicial ruling aimed at “cleansing” the country from Muslim Brotherhood supporters, El Sisi has not taken any measures to rectify the judicial system to ensure that the courts continue to operate as a fair, unbiased and non-prejudiced towards any one particular group. Taking measures to prevent this, whether in action or in words, is necessary to uphold the integrity of the judicial system in the face of numerous human rights abuses that have happened and continue to occur in the country. This is especially important for El Sisi to do in the face of numerous allegations that he orchestrated the Rabaa Protest dispersal to be intentionally violent. As Human Rights Watch and numerous other international human rights organizations condemn his actions in that unfortunate incident, he needs to counter those allegations with a fair, balanced judicial system to ensure that any criticisms against him are brought forth in a transparent way. (Of course, considering the seriousness of the allegations made against him, it is understandable why he would not want to bring these allegations to a court of law). The one bright aspect of El Sisi’s human rights record is his stance against sexual harassment against women in the country. After a particularly disturbing incident where a woman was severely harassed and beaten, El Sisi visited her in hospital and offered an apology on behalf of the nation. This move, while many consider it to be more political than anything, shows more sympathy and understanding of the seriousness of the human rights issue in Egypt than any other Egyptian president has cared for. It is not a sufficient measure to address sexual harassment in Egypt, but it is a start. Abdel Fattah has demonstrated limited capability to reform the laws of the country with a view towards democracy, freedom and transparency, favouring a bias towards the Egyptian military for most industrial and commercial enterprises.Abdel Fattah has also made attempts to restore the influence of the rule of law, but has had limited success in formulating proper laws. 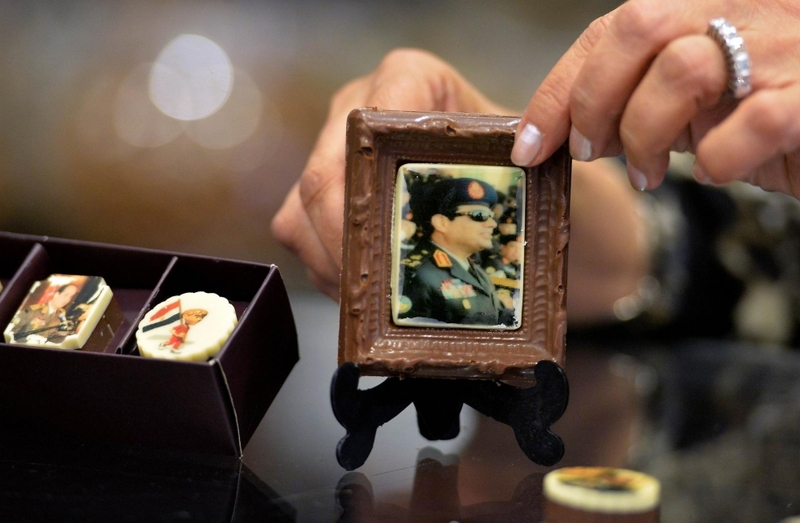 One of the biggest obstacles that faced El Sisi during his short-lived election campaign was the ominous label of “military strongman”, which received mixed reviews among the Egyptian electorate during the campaign. While some viewed the label as a good sign for order and stability, others viewed it as a return to military rule, thus negating any progress made as a result of the Egyptian Revolution. 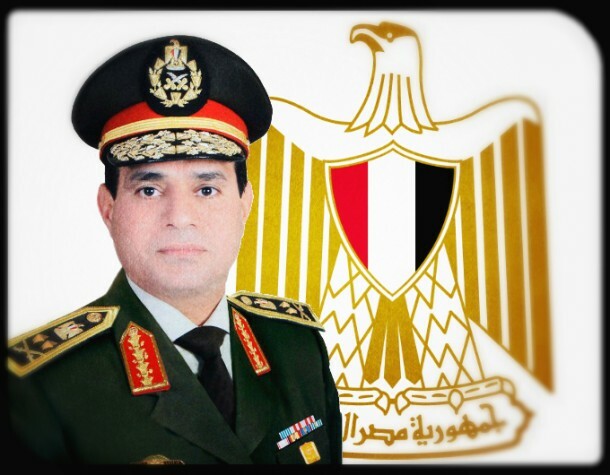 Since taking office, El Sisi has not eased up on favouring the military’s role in governing the country. In fact, he did the opposite – he has continuously re-asserted the military’s role in governing the country, both through infrastructure and commercial enterprises. While this might seem benign, it creates an atmosphere that the military is inherently entitled to rule the country, and that any ruling authority that comes from outside the military institution would revert any “progress” made by the military. It is precisely that culture that the Egyptian revolution sought to change, and as long as that culture remains in Egypt, any future Egyptian president will continue to hail from the Egyptian military, and rule the country with the same type of military command that the country has been under for decades. However, the civilian government appointed by El Sisi has taken various measures to respond to the needs of the people, both economically and socially. Since taking office, El Sisi has appointed an administration that has brought forth “protest” laws and sexual harassment laws – a promising sign of the emphasis on the return to rule of law. Yet, in the same breath, those laws are widely regarded as unfair and undemocratic. 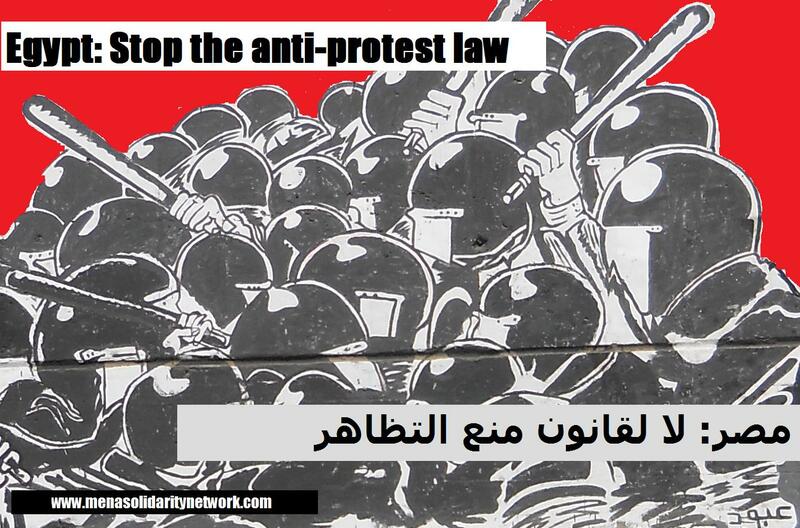 For example, the protest laws in Egypt severely restrict a citizen’s right to protest publicly, and in an ironic twist, Egyptian activists have been arrested for protesting against the protest laws. This kind of situation shows that even though El Sisi has made efforts moving back towards a democratic rule, he has not made laws that are consistent with what the Egyptian population needs to express itself democratically. Abdel Fattah’s persona has brought a sense of flair and inspiration to the hearts and minds of Egyptians, which is consistent with the same effect that many previous presidents have had. However, he has not made any efforts to change the culture of presidential “worship” that exists in Egypt. This is a common problem in Middle Eastern politics. To win and keep the affection of Egyptians, each president has always tried to instill a “father-son” type of mentality between the president and the wider Egyptian population. This was very visible in the last days of Hosni Mubarak, who used language in his last speeches such as “my sons” and “I am speaking to you as your father”. This type of mentality needs to change. Egyptians are not looking for a father to govern them, they are looking for a statesman. As far as El Sisi’s presidency is going so far, he has employed the exact same tactic, and unfortunately, many Egyptians have already accepted and embraced him as a father-figure for the nation. El Sisi’s cult-like influence on the Egyptian populace is both inspiring and worrisome; the influence that one man can have on a large number of people makes him the catalyst for change, and the harbinger of blind obedience at the same time. If this aspect of Egyptian (and Arab) politics is ever going to change, the Egyptian president whom everyone admires and adores must set the example by making it clear that he is only an administrator of the state, and a man of limited capabilities who cannot solve everything. He must also renegotiate the perception of the Egyptian presidency with the wider Egyptian populace by abandoning the old “father-son” type of relationship and seeking an equal, co-existing type of collegial and professional relationship. This will also go towards emphasizing that the Egyptian presidency has a limited term on it, and is not a position to be held for life. This will instill the mentality that the next Egyptian president is coming within the near future, and could be anyone in the country so long as they work hard and seek to enforce sound, practical policy in this new democracy. One of the most important considerations to keep in mind when examining these different factors is the long-term effect on Egyptian politics and society. So long as El Sisi continues to operate the Egyptian administration without a long-term transition plan in mind, he risks putting Egypt in the same path that Hosni Mubarak put Egypt on years ago, when he refused to relinquish power before it was long overdue in a peaceful, democratic and transparent way. El Sisi will risk losing his gains during his presidency, however long or short it is, if he does not allow the next Egyptian leader to come in democratically, transparently and peacefully. It may also prove to be his greatest political achievement, surpassing any amount of revenue that he can collect from the Egyptian populace or his ambitious infrastructure projects.